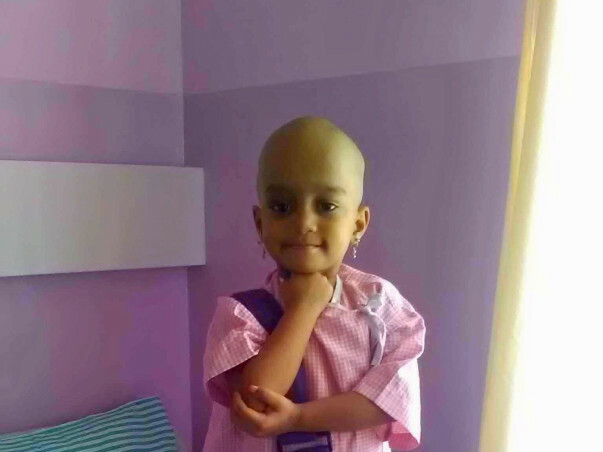 Little Yashasvi is diagnosed with an Acute Myeloid Leukaemia (AML). A type of cancer that results in an over production of white blood cells. This occurs mostly in boys and very rarely in girls. Yashasvi turned out to be one among many unfortunate little girls affected by AML. Father- Adinarayan is an Assistant Engineer at a private company in Hindupur, Andra Pradesh. Yashasvi’s mother Satyavani is a stay at home mom and Yashavi is their only hope, as they do not have any other children. After 2months in to playschool one day Yashasvi came back with a swelling on top of her right eye. She soon started to have fever and severe stomach pains. Her parents took her to a local doctor in Hindupur and she was given antibiotics that gave a temporary relief. However the swelling on the right eye persisted and soon she was taken to an Ophthalmologist. The doctor then said it is an unusual activity and suggested a MRI scan. Adinarayan and Satyavani did not want to take their chances and came to Bangalore looking for a second opinion. 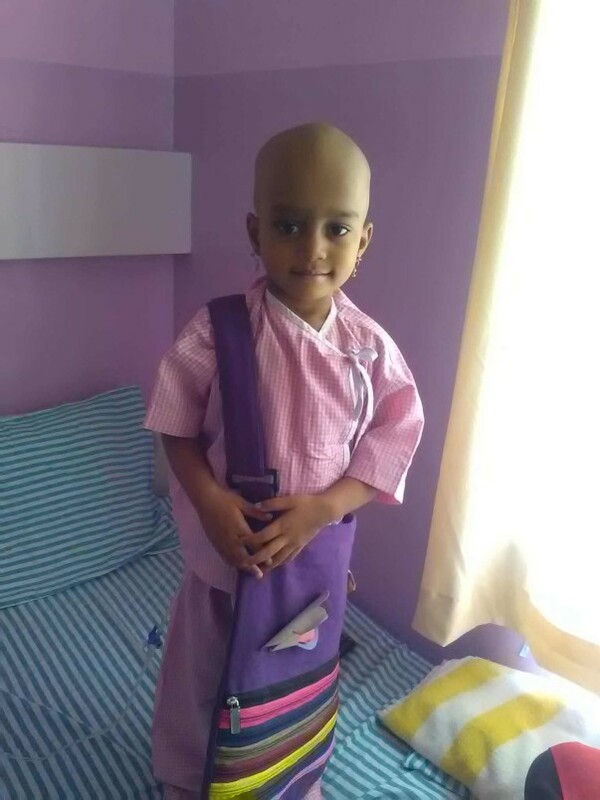 It was at Narayana Netralaya that Yashvi had to undergo a surgery to remove the swelling. The operated part was later sent for a biopsy at Narayana Hrudayalaya- Mazumdar center and was tested positive for Leukaemia. The parents soon rushed to NH and underwent further tests, after which it was confirmed to be an initial stage of AML. Yashasvi has been undergoing chemo for the last 3 months but the cancer seems to have relapsed. 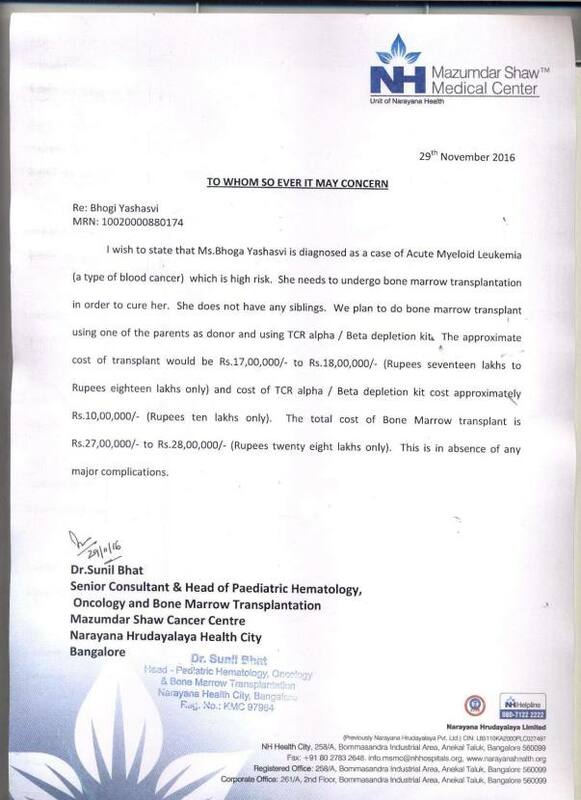 As advised by the doctor she needs to undergo a bone marrow transplant at the earliest to give her more enduring cure. However, due to the chemo the swelling has reduced and her vision has improved steadily. Adinarayan and Satyavani have been identified as potential match for the surgery as Yashasvi does not have any siblings. 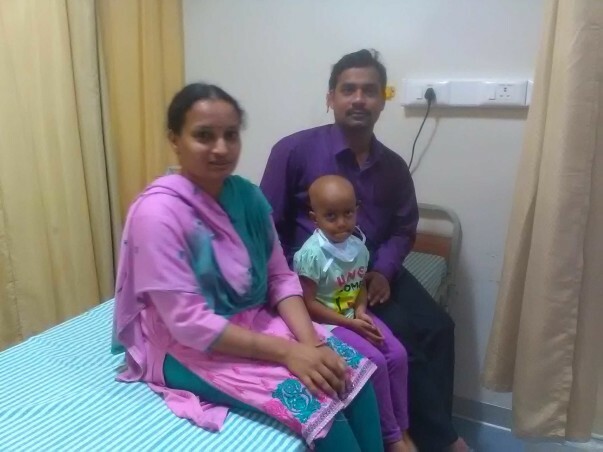 The approximate cost of the surgery is 28 lakhs and Adinarayan has drained his entire resources till now for Yashasvi. The company he is working for covers an insurance, up-to 4lakhs but it has also been exhausted for her expenses till now. She needs your help to be able to get back to life again. Yashasvi is right now in the hospital with her mother undergoing chemo. Please do support. Thank you for the love and support you have shown towards Yashasvi. Here is a quick update on her health. She has shown good signs of progress after her transplant and is on regular follow-ups as suggested by the doctors. It gives me immense pleasure in informing you all that Yashasvi successfully underwent the bone marrow transplant and is doing well now. She developed an infection in between and was treated for the same. She is now coming for regular follow ups and is observed closely for any irregularities. We are all happy for her. Thank you once again. Here is an update on Yashasvi's health condition. Yashasvi is doing well now and was discharged from the hospital on 23rd March 2017. She will come for follow-ups once in 10-15 days initially and as her condition gets better, the time duration will gradually decrease to once a month and so on. Thank you for the support provided.